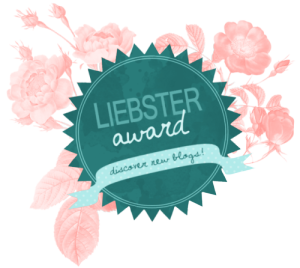 I’ve been nominated for the Liebster Award by the lovely Leprechaunsmakecocochanellookcool blog. The award is to help people discover new blogs and I was really honored, it’s nice being thought of, especially since my blog is still a baby. 1) What would be your dream job? Bestselling novelist. With a really good editor. 2) Best beauty products you ever bought? Urban Decay Naked 2 palette. Etude House jelly lipstick. 3) Who is your inspiration? Kathy Reichs (though her last few books have been a disappointment). Kristina Braly (I love her blog). 4) Favorite fashion magazine? UK Glamour. US Cosmopolitan. 5) Who is your favorite designer for clothes and why? I’m a fan of Elena Slivnyak (IIMUAHII Couture), I like her designs and can picture myself wearing them and I also like her as a person. 6) Favorite thing about blogging? I love blogging, it clears my head and it’s my way of relaxing while being a creative outlet. 7 )When was the last time you did something for the first time? Two months ago I worked as a translator for two days for the first time. It was an interesting experience but I know I wouldn’t want to do it for a living. 9) If you could marry someone famous who would it be? I don’t think I would want to marry anyone famous, sorry. I would like to hang out with Jennifer Lawrence, I’d love to meet Graham Norton and go to the pub with Dylan Moran. 10) What’s your favorite item of clothing and why? I love my new H&M skinny jeans, they’re comfy and are super easy to wear. I love my kimono-esque Topshop little black dress, it’s elegant yet still a little bit different from all the rest, but my absolutely favorite item of clothing at the moment is my fake leather jacket from Zara. It goes with everything and makes everything look better too. I love it. 11) What’s the hair product you swear by? I don’t really use a lot of hair products. I’m usually too lazy to really do my hair. The only thing I use on a daily basis is a hair brush (just a normal drug store one) and hair ties. I either use one for a pony tail or a side braid or two when I wear two pigtail braids. I wash my hair about once a week and I love the brand Aussie both for shampoos and for their conditioners (the three minute hair love potion is really good). 1) Who is your style inspiration? 2) What are you currently listening to? 3) Your go-to technique for an instant mood lift? 4) What are your favorite brands (clothes; shoes)? 6) What’s your typical morning like? 7) What’s your favorite make-up brand and why? 8) What is the one beauty product you couldn’t live without? 9) What perfume are you wearing today? 10) What was the last movie you went to see at the cinema? 11) Where would you go on your dream vacation and what are you looking forward to this summer? That’s very interesting to know about you😃thanks for answering the questions your blog is so up to date with the fashion.